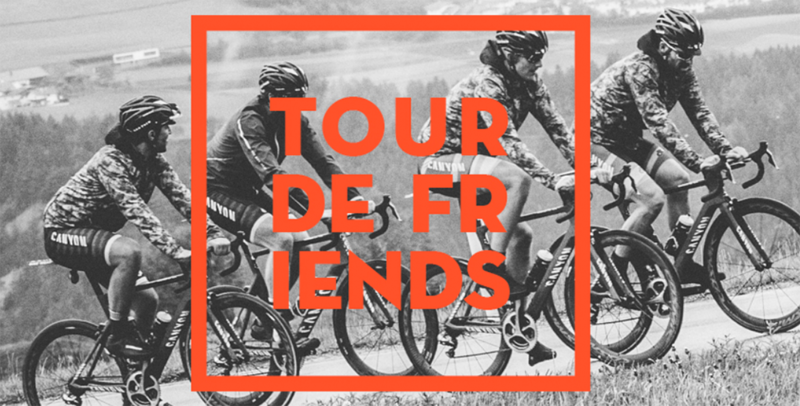 The “Tour de Friends” that will take place between the 13th and 17th of September and sounds like – if you speak it out fast – its close relative “Tour de France”, might just be the next successful coup of the guys and girls at Rad Race. Since December 5th it is now also clear, how much the bike travel adventure over four stages and 600 kilometers will cost: 589 euros. Around 600 euros – what’s in for me? Sounds like a bunch of money for a lot of people, who usually become upset if other Rad Race events cost more than 19 euros registration fee. Compared to other bike travel offers the price is within a normal scope. Especially if you think about what you get for your money: Four nights in – as Ingo and Jan of Rad Race put it in ther Facebook live Q&A – decent hotels (no one really needs that kind of hotels at such an event, but it is a comforting idea that you know you can sleep in a good bed), two food stands during the ride every day, a planned and tested route across the Alps (with a few gravel passages, but only on the first day which is ridden without timekeeping), goodie bags (a Rad Race standard) and the bike transport from Venice (the finish of the race) back to Munich (the start). A total of 400 of the promised 500 starting spots will go online on December 10th (at 3 pm). This is, as Ingo put it, due to the capacities of the hotels – with 400 riders this is more than understandable. In general the “Tour de Friends” is a mammoth task, even for Rad Race, who are used to big numbers of starters (e. g. at the Fixed42 race), but until now always within an organized race event. Rad Race has done a few tours, but always with fewer people, mostly 10-20 riders. The route was tested in the autumn of last year by a few of the Rad Race guys, so at least that should work out fine. What might be more of a problem is the difference between the individual performances of the riders. Just because the Rad Race boys were able to get from A to B in the targeted time doesn’t mean that a “from time to time”-rider, who has planned the Tour de Friends to be his highlight of the season, can ride the 600 kilometers in a time close to that during the test ride. Other than that the sheer mass of riders might result in a challenge – regardless of whether there are 400 or 500 starters. Timekeeping: Team will start the stages at minute interval. Rad Race has the plan to hold a team stage race on stages 2-4. The rules are simple: a minimum of three riders per team, only the time of the third fastest rider in the team counts. The tracking will be done via classic transponders. The problem might be the start of the teams: The plan is to let the team riders start together, one team every minute. If you take 500 riders and a average team size of five riders into account, there will be 100 minutes between the first an last team. If it takes longer than a minute and you only have four riders on average per team, the whole thing takes even longer. This can make the difference between arriving with daylight or in the dark – which might result in discontent. The endless sponsoring discussion should stop. The pretty old discussion, if really all the Rad Race sponsors have to be mentioned always and everywhere, was also a part of the Facebook live video by Ingo and Jan. And yes, in my opinion it does seem a bit nasty to present a bike of the main sponsor to the followers (Disclaimer: I like Canyon and have one myself) as being the best bike for the tour that costs more than 4.000 euros in the set-up Rad Race rides. Just a short prospect: The price of the bike will probably be okay for those kind of people, who can afford to pay 600 euros for the “Tour de Friends”. Ingo is right in one point though: Without the sponsors there would be no such events. Somehow no one has a problem with winning a messenger bag at an alleycat, but starts nagging as soon as a food-stand along the way is branded by an energy bar. The lonesome needle worker who gave the messenger bag as a prize to the organizers of the alleycat, gets some attention as a kickback, exactly as the energy bar producer does. Both is called sponsoring – the messenger bag just has a higher street cred than the energy bar that supports Rad Race. Even if the energy bar seems kind of useful during a stage race and doesn’t land on ebay or in the used fixed gear stuff groups on Facebook. So, enough of the ranting around, about sponsors and people who are not grateful for them. 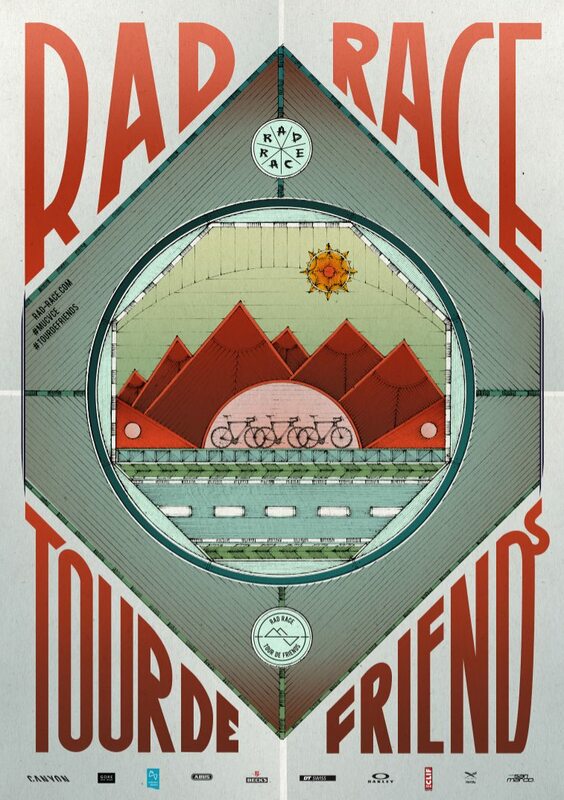 We should rather be happy that there are people like Rad Race, who organize stuff like the “Tour de Friends”, although they don’t get rich in doing so. And even if the earn some money off it: That is only fair, because the realization of such an event costs a lot of time and energy. And you want to get “paid” for that. With Rad Race the currency at the moment is most likely compliments and appreciation instead of euros and dollars. Unluckily I will not be able to ride the “Tour de Friends”. 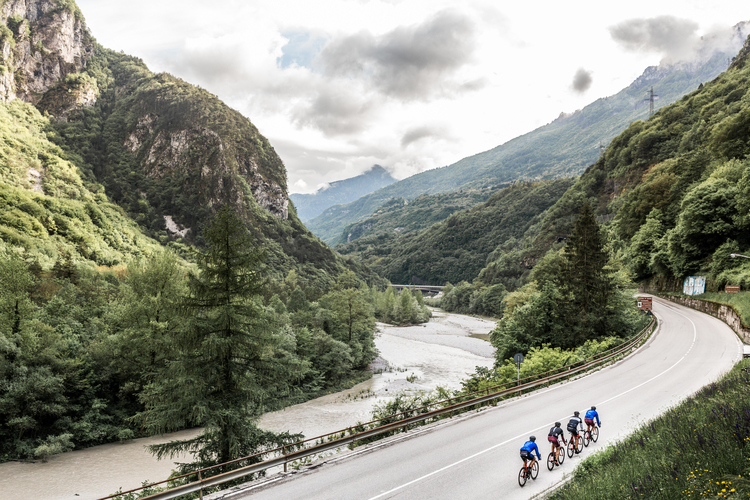 I would love to be there, because the pictures and videos I have seen from the previous Rad Race tours always look like blood, sweat and tears (of joy). Especially as fixed gear or road cyclists that is what we pay money for, right – for whatever reason that is. Member of Fixedpott Racing Team, road and fixed gear bicyclist and bike blogger from Dortmund, Germany.